Security has traditionally focused on external threats, without a similar level of energy being devoted to the risks from inside the business. Any level of organisational or personal change can act as a stimulus for an individual to feel aggrieved at a perceived violation of their psychological contract. The impact of such psychological injuries can lead to acts of sabotage, as seen in Amazon warehouse in Rugeley (Amazon warehouse blaze), which cost the business nearly £8m in stock losses and loss of productivity. Far more subtle and calculated acts of retribution take place just as frequently, such as releasing details of commercially sensitivity information about products. We witnessed this recently with Apple’s new iPhone release (Apple iPhone leaks) which had the intention of damaging the business. These employees were not subject to a strenuous recruitment processes and on-boarding at this point they are unlikely to have an intent of causing malicious harm. In each case, during their employment they were aggrieved by an act, omission or change that affected them. 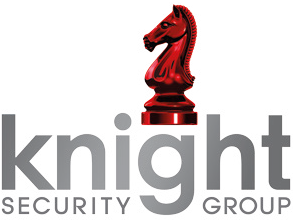 Knight Security offer a variety of solutions to understand these risks, plan in advance around key business vulnerabilities and manage insider threat. By educating staff and supporting them through internationally renowned consultants, a number of services will support your business to monitor key activities, business areas and crisis moments. Our solution has been adopted by forward thinking organisations, such as educational establishments, a large hotel chain and Defence Contractor.